This cube came out in the market with a blast and spread like wildfire. This cube was the main of most people. The speed of the cube is fast enough and controllable. It requires lubrication to make it better. Out of the box it has this scratchy fangshi type of feel but as you break it more, the scratchiness fades away and it becomes silky smooth. Corner cutting was more than 45 degrees with relative ease and reverse was line to line. I was very impressed with the reverse corner cutting. I wouldnt catch often and wouldnt lock up often too. The speed was controllable so my turning was accurate. I would get corner twist once in a while but it is nothing major. It only popped on me once at loose tensions and I have done more than 25K solve with this. Overall, I would recommend this cube to anyone. Cubers of all speed will enjoy it. This cube made me very disappointed when this cube came from The Cubicle. It was really clicky and clacky, felt magnetic, and locked up a lot. Then I started to break it in, and it got better. Its corner cutting was great. I tensioned it to make it tighter, then it legit couldn't corner cut, then I loosened it up, but it wouldn't help. I ordered lube, hoping that it would help. My friend took out a piece, so he could look at the mechanism, but now it pops somewhat often. When I received the cube I was disappointed because it was very, very slow. Not even completely retensioning and lubing it made it much better. Only after a few hundred solves I noticed that some of the screws seemed a bit skew in the thread. So after trying to put them in straight, extensively breaking in and lubing it with Maru it is fast enough. Every other aspect of the cube is great. With the tension and lubing I use, the corner cutting is more than 60° and after that it goes directly into reverse corner cutting. It doesn't lock, I only had a single pop yet and corner twists aren't as much of a problem for me as I expected from other reviews. Some of the corner pieces rattle in their place if you shake the cube, but that doesn't influence the stable feel the cube has while turning. So all in all I can recommend this cube very much if you don't rely on especially fast turning. This cube is very good. It's very fast but stable, the corner cutting is amazing (45 degrees, 1/2 piece reverse), this cube has never locked on me or popped and it rarely corner twists. This cube has a very stable feel to it and yet is very fast, and controllable. This cube was the best of its time and I would highly suggest getting it. It may not overcome some of the newer cubes, but it is a iconic cube which you can add to your collection. Out of the box, this cube felt really dry, sluggish and quite tight for my preference, still cuts 45 with some effort and reverse is about 3/4 of a piece with some effort. 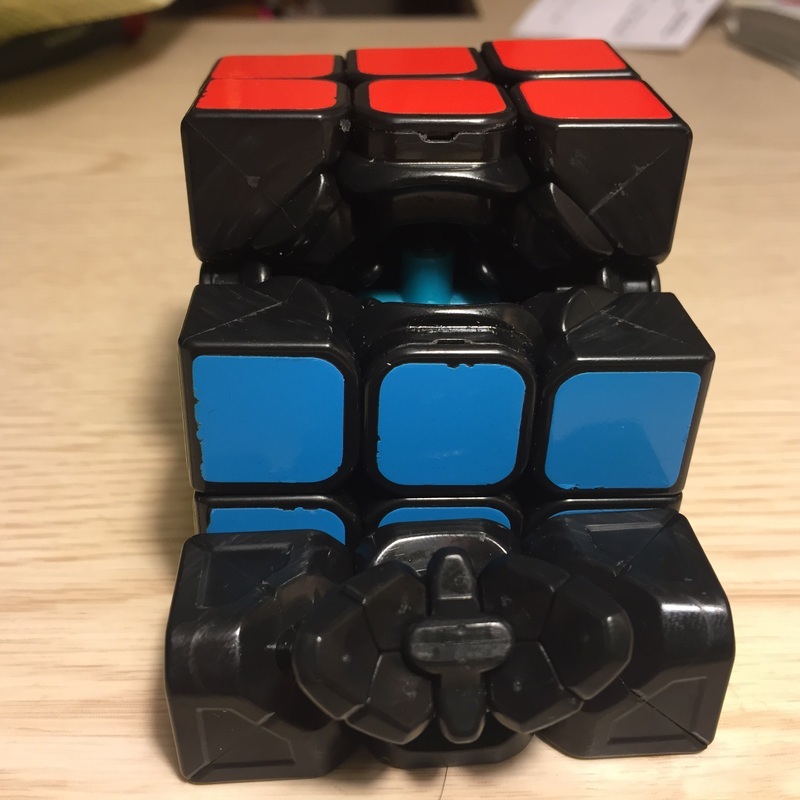 After doing a sub 100 on this cube, lubed it with weight 5 from the Cubicle and tensIoned it, this cube felt completely different. After a couple solves later the turning of this cube was quite fast, but not as fast as my original Aolong. This cube was also very buttery and slightly bumpy(but I did the 48 edge florian mod on it so it became very smooth with no bumpiness what so ever). Corner cutting on this cube is passes 45 with minimal effort and reverse is about 4/5 of a piece with minimal effort. But how about corner twisting? Well, is decent. I get a corner twist in about once in every 100 solves, so it did improve a lot from the original Aolong. Popping is not an issue as it has the dual non popping mechanism. I get minimal lockings on this cube, making that no matter how rough your turning style is, it will still turn smoothly. So I'll definitely recommend this cube to beginners and for intermediate cubers. Overall this is a great cube and I have no negatives as to why not getting this cube. It has great turning, great corner cutting, average lockups and average corner twisting. It was my first speedcube. And believe me, it is awesome! It's beautiful. Its fast. A great one for sub20s. I don't remember the last time it popped. Lock ups are very minimal. A good corner cutting. Overall, a very good one. This was my first speed cube. It instantly became my main and I love it!!! Get is as soon as you can! The colors are great and its very fast. The Moyu Aolong v2 is one of the best speed cubes. The cube is pretty fast and can do U2s in one flick. It can corner cut from almost anywhere, but when you get into the more extreme cuts, you must use more effort. This means there are a few lockups that happen when you are inaccurate in your turning. Because there are no squared off corners, it does corner twist, but only rarely. It has a very sturdy mechanism which means that it does not pop. This cube is a very good OH cube and was my OH main for about 3 months. The Aolong v2 is a really good cube. It's very fast and smooth, and has a great feeling. I have set it at loose tensions and lubed it with Lightake lube (I know it's not the best one but it worked pretty nice on my cubes). It rarely misses a corner cut and almost never pops (at least mine doesn't pop so much), but I've had a few corner twists and lock ups, though they're not so frequent. Right out of the box it feels blocky and kind of compact but still fast, and after lubing and tensioning it became smoother and more controllable. 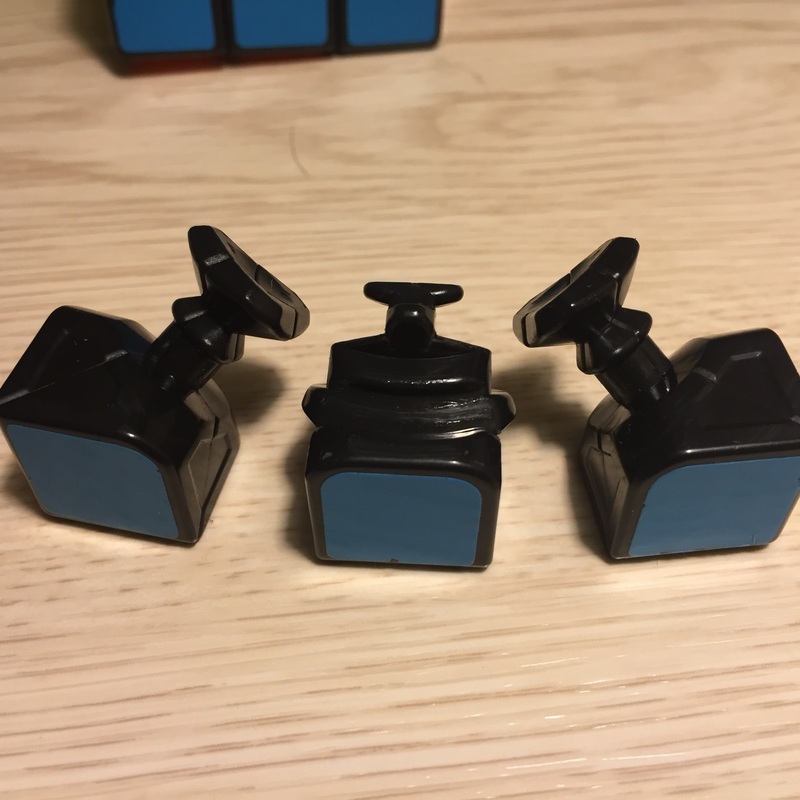 I recommend it to everyone who wants a superior quality cube which can stand really fast turns and most turning styles. Out of the box the cube was a little sandy and average speed. After lubing, tensioning, and breaking in the cube was a lot better. Speed- With the right tensions and lubricant, my AoLong was fast. Some lube doesn't do much if you make it as loose as I did because the cube was already fast. Corner cutting- It certainly doesn't have the best corner cutting I've ever seen but it's certainly enough to get by. Locking- I get locks the most when I'm rushing but I guess that's my fault. Corner twists- 4/5 of all of my corner twists are because of H-Perm. Slices are kind of hard with it. Popping- I think I loosened my cube too much, because it pops pretty frequently, and only when I'm doing races or something with my friends. But it's the only way I could speed it up. Medium tensions are best but loose is fast of course. This was my first speed cube and I was astounded by its capabilities. It has never popped and corner cuts well. When I first unboxed this cube, I didn't really like it. It had an average speed, it has a dry and sandy feeling also it has spring noise. It also was tight so it was an average cube for me. After lubing, tensioning and breaking it in it feels SO MUCH BETTER. Corner cutting was so good (my tensions are medium) it also has a slightly buttery feeling also crispy and crunchy as well as smooth. So overall this cube is pretty good. I would recommend it for any type of cuber. Overall, this is an amazing cube. Extremely few lock-ups and 45 deg. regular corner cutting, and pretty good reverse corner cutting. Out of the box it had tight tensions and wasn't very fast. However, after breaking in, loosening the tensions, and lubing the core with Traxxas 50k, it became my main in an instant. There are a few corner twists though, and pops do happen, but probably because of my tensions. It is a great cube. Really fast, corner cut is 50 degrees, really smooth and my thinking is: There is only one cube witch is better than AoLong:Gans 356 V2. I had felt many Aolongs at competitions, but until recently I had not been able to set one up for myself. All the ones I had felt were horrendous. However, after setting one up I can see why a lot of people like it. It's kind of just an average cube. It doesn't excel in anything, but it isn't terrible at anything either. It can work for a lot of people. However, now that the Thunderclap is out (which feels very similar, is cheaper, and performs a bit better), I don't think there's any reason to buy an Aolong V2 anymore. and it wasn't as fast as it is now. But After I broke in, it got faster and it felt smooth. It is reverse corner cuts and corner cuts just at 45 degrees. This cube decreased my times from about 43 secs on a no brand cube to around 35 secs. This cube is a great cube, definately get it if in need for a reasonably priced cube. It's very fast depending on the tentions and great corner cutting. Corner twists do occur fairly often but without a doubt a definite buy and a brilliant cube for anyone. This is a great cube and has been my main for over a year. It changes it's feel over time with constant use. It has more on the heavy side of cubes and it has a smooth and solid feel. It is quite controllable and I think that it is a great cube for veterans and beginners a like. This is the best speedcube with no doubt. It has amazing cornercutting, barely locks up or corner twists, and I've only had 1 pop so far. It is an extraordinary cube for advanced speedcubers and I would definentily recomend it. An awesome all-round 3x3 that matches all solving style I used. And once broked it and lubed it's such a fantastic cube with a few little corner twist issues that aren't that annoying. This cube is AWESOME! And I mean literally. I average around Sub-30 but this cube is perfect for me. I have never lube it nor tension it, but this stock "out-of-the-box" feeling is good, for me at least. NO MATTER HOW FAST YOU ARE, BUY THIS CUBE!!!!!!! This cube is amazing! It has a buttery like feel with a bit of crunchiness. it's also quite loud but it doesn't bother me. It's a little too fast for me and I have a rough turning style and I like looser tensions so it can pop on me but for light turners and with the tensions tightened the cube never pops. Lockups are from overshooting but it isn't common. corner twists happen but only sometimes.The corner cutting is amazing but reverse can be better. over all this cube is amazing and this cube made me get a sub 20 average. I recommend this cube to faster solvers and people looking for a good cube just tension it tightly and maybe make it a little gummy if the cube is a little too fast for you. This cube quickly became my main and overall amazing cube! This cube was a great buy for me. I ordered it from SpeedCubeShop here in California. Out the box this cube felt really great. I am not the fastest solver but this cube has made me want to practice more and more. So Far I have dropped my time from 90secs to around 50-60secs. It does have minimal locking on me, and thats only because of my sometimes poor turning. Its very fast and has a smooth feel to it lightweight and great for light turners. Though the Moyu AoLong v2 has been on the market for a while now, it isn't to say its a bad cube compared to the more recent ones. Corner cutting is superb, and the feel is extremely addicting. It makes me want to cube for hours on end. Overall, I highly recommend this cube. This cube is a very good cube for those that can consistently solve at under 25 seconds. Anything slower then that and it tends to lock up quite a bit. The shades on this cube are bright and vibrant and its corner-cutting is very good if set to a looser tension. The only large issue that I have noticed with this cube is that the white cap comes off often when you turn very fast. Overall, this is a very good cube and is well worth the cost. I got my Moyu Aolong V2 about 2 months ago. The Aolong right out of the box was an exceptional cube, it turned very well, and the corner cutting was very good, their was hardly a place on the cube it couldn't cut. The cube arrived on fairly tight tensions, and even so, it still corner cut like a dream. The only reason I put a 2 for popping and a 4 for corner cutting is because I have loosened it quite a bit, and obviously that hurts the anti-popping mechanism a little bit. The cube turns fairly smooth, and has a somewhat bumpy feel. The stickers are of fairly good quality and haven't begun to show wear in the 2 months I've had it. The corner cutting is a little over 45 degrees and reverse is just under 3/4 of a cubie. Occasionally you get some spring noise,but if you lube the core that goes away. It feels very well balanced. I love this cube, and I would recommend lubing it and not loosening it that much from factory tensions. I feel this cube is very well balanced. Out of the box it was very controllable and crispy. Compared to the HuaLong, it has a slower turning speed. Light turners may prefer this, but personally I overshoot too often. For this reason, I prefer it over the HuaLong. After lubing the cube only improved. It is a lot smoother and faster while still maintaining its controllability. Corner twists happen but only when turning recklessly. It is still far better than the AoLong V1. I have only ever had one pop on this cube, but perhaps this corresponds to my tight tensions. Still, I can corner cut anywhere on this cube and have never had a lockup. I would reccomend this cube to anyone. The cube started out turning awfully, but after tensioning and lubing, it got a bit better. Not as good as my WeiLong, but the corner cutting is better, and it is much smoother. I got my Aolong V2 from the Cubicle about 2 months ago. I lubed it with Cubicle wt.4 lube for the core, and wt. 2 for the pieces. The cube completely blew me away. It was fast out of the box, but then became exceptionally speedy after I lubed it. It does sometimes feel sluggish though, and during fast algorithms the turns don't seem to make it all the way,though that might just be my turning. Sometimes, the corners will twist, but that's about 1/50 solves. This was a great step up from my Weilong V1 and I would recommend this cube to anyone looking for a nice all-around cube. This cube is very confusing. It has a verity of feelings from the way you lube and tension it. I own 2 Aolongs and they both have very different feelings. 1 Aolong of mine has a very crispy/crunchy feel that resembles the crunchiness of a Weilong but not the smoothness of the Weilong. That cube, although has very crispy, rough turning is extremely fast. I used Cubicle weight 2 on the pieces and 5 on the core (also, rather loose tensions). With my other Aolong, it feels like a v1 except much more stable and a little more crunchy. I used weight 4/2 mix on the pieces and 5 on the core. For some reason, I have a feeling the stickers contribute to the feeling of the cube. The thicker stock Moyu shades feel much better compared to the thinner fuller, rubberish Cubicle feeling. In the end, it's all down to personal preference. Honestly, the Aolong v2 is a old cube and I don't think you should buy it while there are cubes like the hualong and the meiying out which are much better and faster. If your a beginner, I wouldn't get this cube since the corner cutting is so good. You will get a very inaccurate turning style which will make you hate big cubes since they have worse corner cutting. This cube is very smooth feeling and more crispy than the first version. It's fast, but also controllable. The corner cutting is great, maxing out at almost two cubies and a whole cubie for reverse. The Aolong V2 is good for a solver who like fast, smooth cubes with good stock stickers. 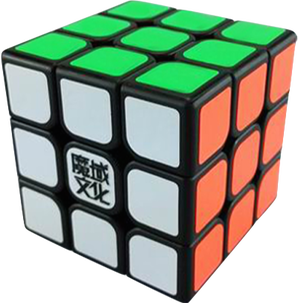 The Moyu Aolong is Moyu's flagship 3x3 cube. Possibly the most widely used speedcube in the market, the Aolong is definitely not unpopular. The version I am reviewing is the 2nd version of the Aolong, which Moyu says doesn't corner twist nearly as much as the original. Out of the box, the cube is very usable, but had a sort of sandy feeling, which cleared up after using a bit of lube. Corning cutting is a breeze, even with my really bad turning skills. I hardly got any lock-ups when using it, and when I did it was my own fault. In about 500 solves, I did have a couple of pops, and about 10 corner twists. It's definitely annoying, but it's a trade-off I'm willing to take. In the end, this is a really popular cube for a reason. I can't say if it's the best speedcube on the market, but you can certainly do worse. Definitely recommended. This cube is very good and is my main! It is very smooth and fast! I recommend this cube for all speedcubers. The Aolong v2 simply is different than the version 1 that preceded it. This cube feels a little blockier than its predecessor, and as such it locks up just a little bit more. The trade off is that the corner-twists on this cube are more rare than on the v1, and while the v1 may be faster on similar tensions, the v2 can be loosened past the point of the v1 so that it actually ends up being faster than the v1. The corner-cutting is superb, however, and this remains one of the best cubes out there. The cube is very smooth and buttery. Occasional corner twists and pops occur with loose tensions but it's worth it! The cube's size is perfect for my hands which make solving it way more enjoyable and comfortable. This cube is simply perfection. I've tried a bunch of other 3x3s, and after recently lubing the pieces, I've made up my mind to use this as my main. The speed is phenomenal with lubing, and is on par with the Fangshi GuangYing. Corner cutting is well over 45 degrees, and reverse is 1 cubie or more, depending on your tensions. The stock stickers are very high quality, although the shades are kind of low contrast. There are no lockups due to the great corner cutting, and the corner twisting from the v1 is completely fixed. On my moderate tensions, pops never occur, and I just cannot praise this cube enough. The feeling of the cube is slightly scratchy, but mostly smooth. Once the Moyu Hualong is out, I'll get that to try it, but I doubt that 3x3 can get much better from this point. The only bad thing I can think of is that this cube has a very long break in period compared to other 3x3s. The cube started out very slow and sluggish, but as I broke it in, tensioned it and lubed it it became an amazing cube. It locks a little bit, but that's mostly because of loose tensions. The Aolong v2 is a great cube. It's crunchier than the v1, which means that it's not my main. It's quite fast, corner cuts well, and does not have the same corner twisting issue that the v1 has. I prefer the feel of the v1, but it's definitely personal preference. I put dayan springs in mine, which gave it a much smoother, if somewhat overlubed, feeling. It's not as fast, nor does it cut as well, but it's become a great BLD cube, and I may use it as my BLD main in an upcoming competition. My main. It has a good speed. Very fast but still controllable. The feel is smooth, buttery with a slight bumpiness. It is very pleseant to turn. Very stable with great corner cutting. Great all round cube The cube does seem to require a decent amount of break in. I tried my friends Aolong V2, which has done less than 200 solves, and it just felt slow and sluggish compared to my over 3000 solves Aolong V2. This cube has been my main since I got it. I started with the mini v1 but I got overly frustrated with the corner twists. This cube greatly improves on it, but still can twist a bit more than I would like. I have never had a pop on this cube and it rarely catches.